For decades, incarceration has been America's solution to crime. From 1973 to 2009 America's prison population grew by 703%. American society has the largest documented incarceration rate in the world. Over two million individuals are currently incarcerated within American prisons andjails. Nowhere is the impact of this prison industrial complex felt more profoundly than in the African American community. Often, systemic policies, practices and barriers work against African Americans and negatively affect their life chances significantly. This can leave many AfricanAmericans (males especially) vulnerable to incarceration, which in turn leads to a large number of Black men within the criminal justice system. Consequently, as the society moves from an industrial work force to a technologically skilled one, African American males coming out of prisonand detention will be further ill-equipped to provide financially for their families, thus, making the "street hustle" and criminal activity a more attractive option, that will land them back in prison. This is a recidivistic cycle that facilitates poor community development and disrupts the African American family. Furthermore, it is a disproportionate systemic cycle that has become worseover time. Without consistent, thoughtful and significant intervention, the social mobility and future life chances of a generation of African American men will be severely curtailed, which inturn will destabilize communities and ultimately, American society. The numbers are staggering and reveal a problem that unfortunately has reached epidemic proportions. 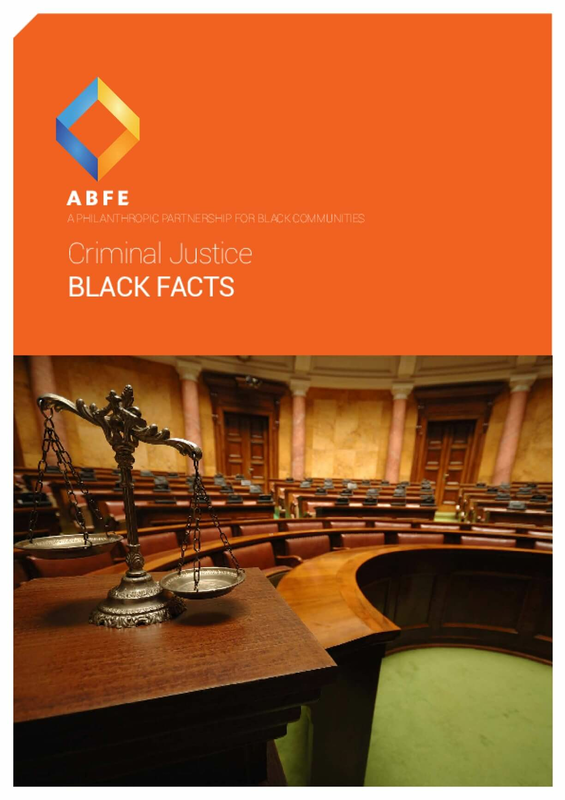 Copyright 2015 by ABFE | A Philanthropic Partnership for Black Communities. All rights reserved.